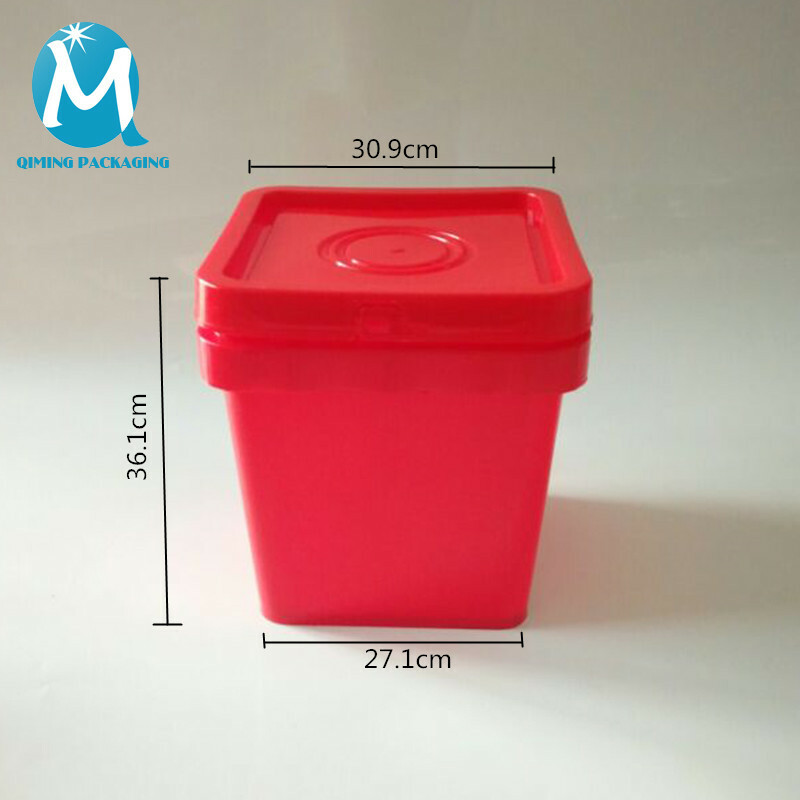 Square plastic bucket is made of PP and PE. 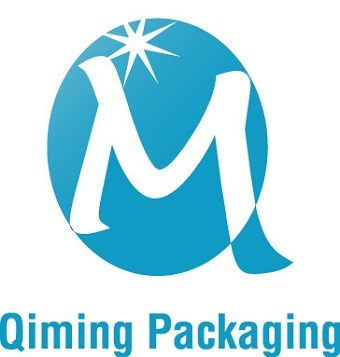 They are widely used in the transportation and storage and in all walks of life. 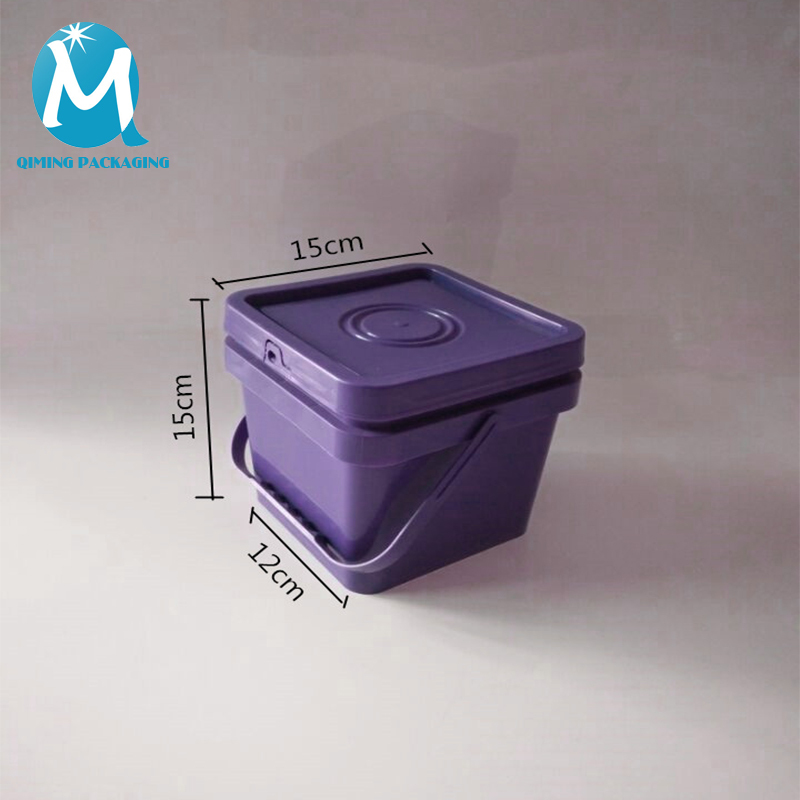 It can be packed with jam, ice cream, and other food, and it also can pack chemical products such as washing powder. 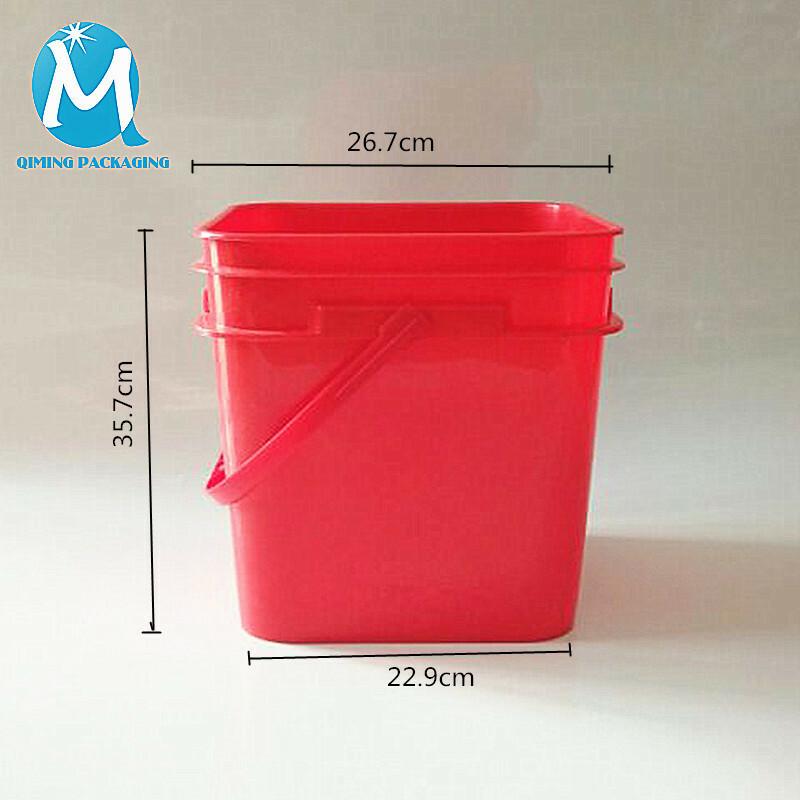 The plastic square bucket has many features: light proof, Creep-Resistant, anti-corrosion, pilfer proof, shock resistant. 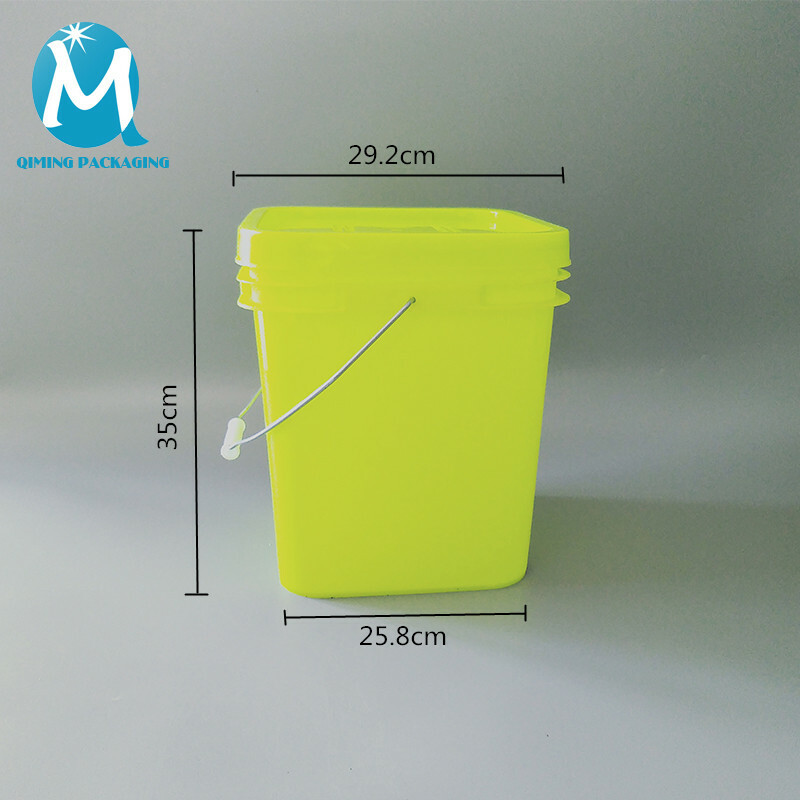 2L-25L square plastic buckets are all in stock. Complete size and color, we can provide customer service. Free sample for you to check. 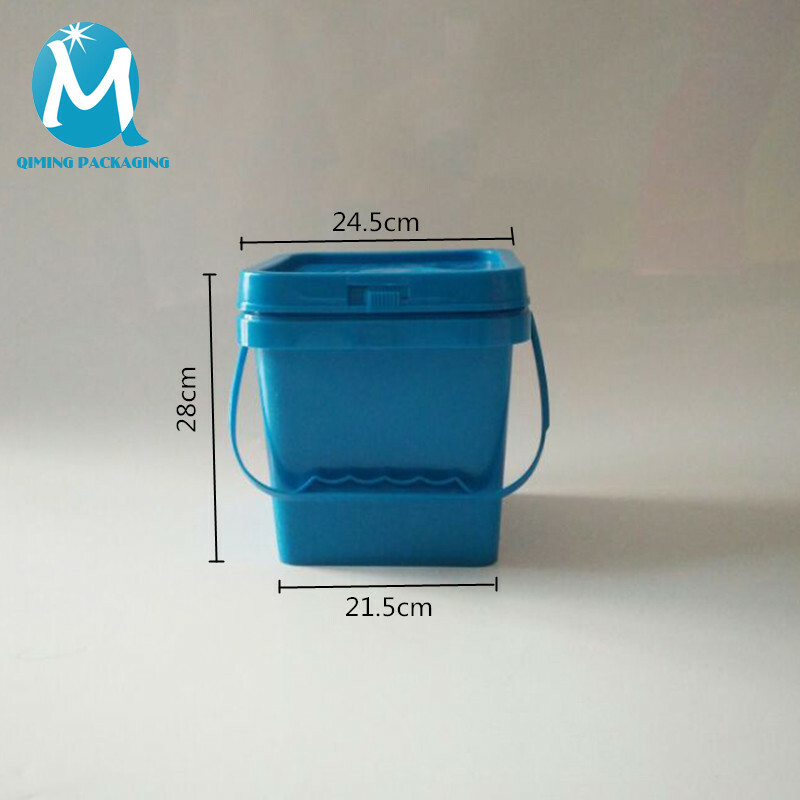 Qiming square plastic bucket adopts 100% new PP material, has good quality. 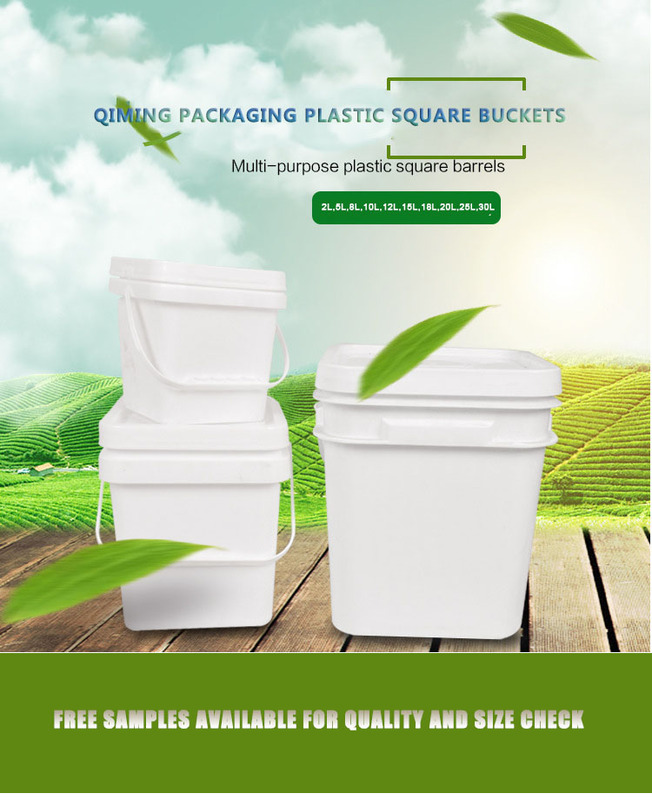 Ouer square plastic bucket has complete size and color。Free samples are available for quality and size check.Please contact our support team to arrange them today! 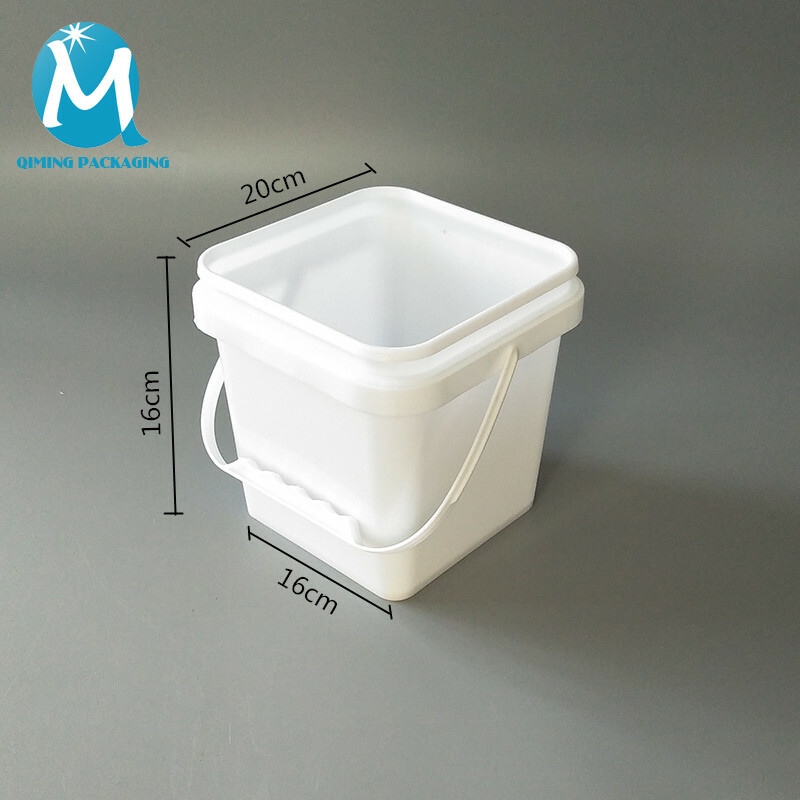 The square plastic bucket can be used in all walks of life. It can be packed with jam, ice cream, and other food, and it also can pack chemical products such as washing powder. 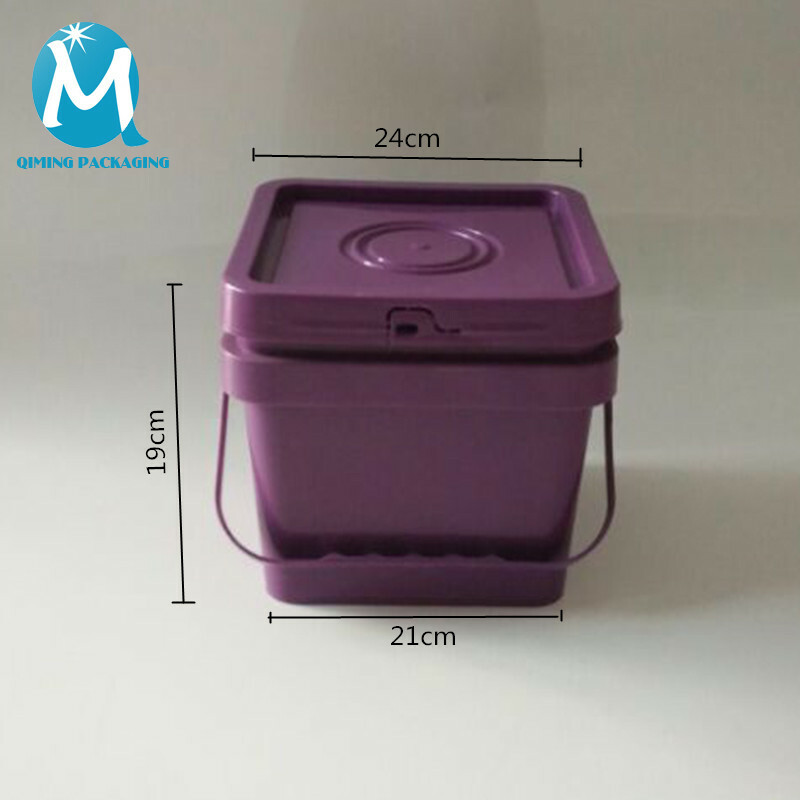 The cover of the square plastic bucket is the disposable sealing cap, there is a tear in the side of the cover. The first time you open it, you need to tear off one circle of the cover, and after opening the cover, it still can be used. 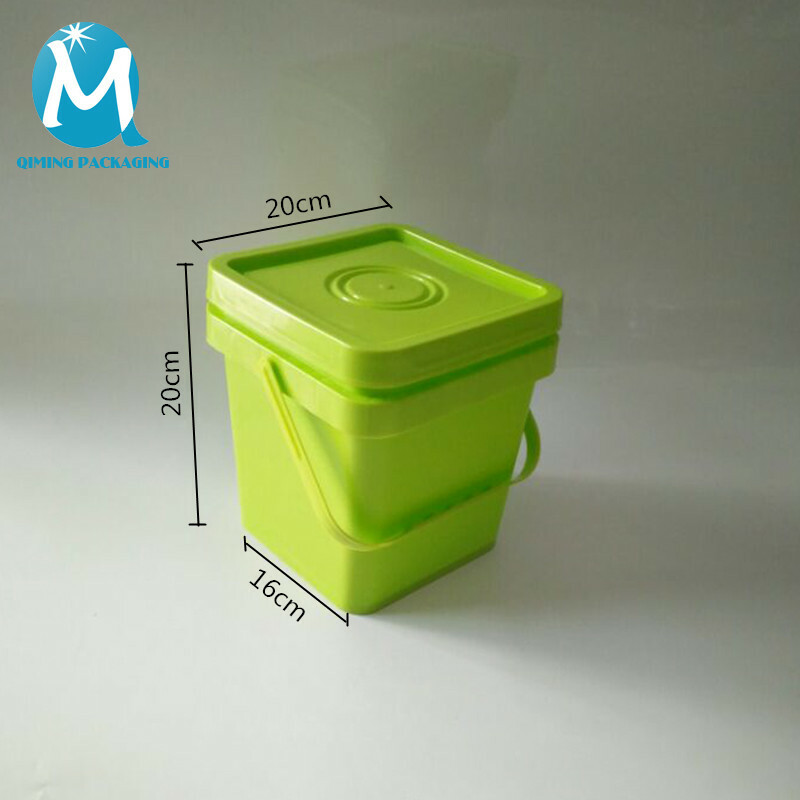 Qiming square plastic bucket has many features: light proof, Creep-Resistant, anti-corrosion, pilfer proof, shock resistant, high-temperature resistance at 140 degrees and low-temperature resistance at minus 40 degrees. 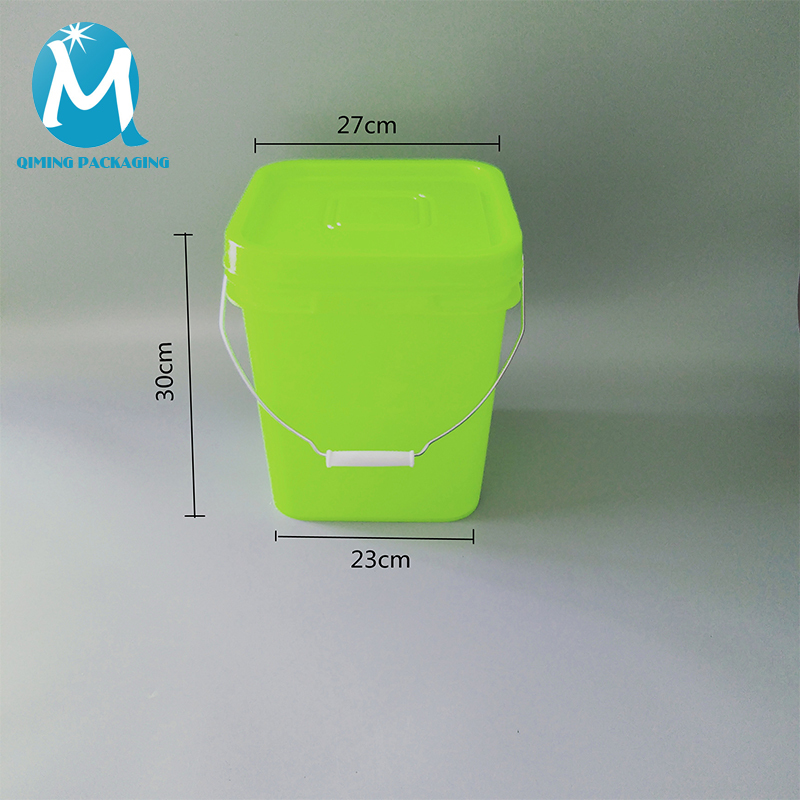 The handle of the square plastic bucket adopts humanized design, make people comfortable to lift. The handle adopt special material which makes the handle tough. 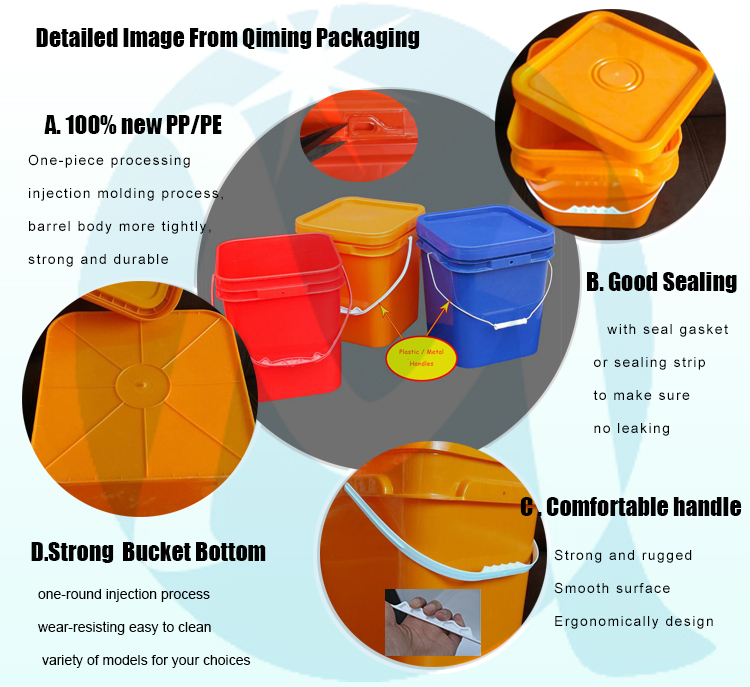 The design of the cover and bucket body make the bucket more artistic.